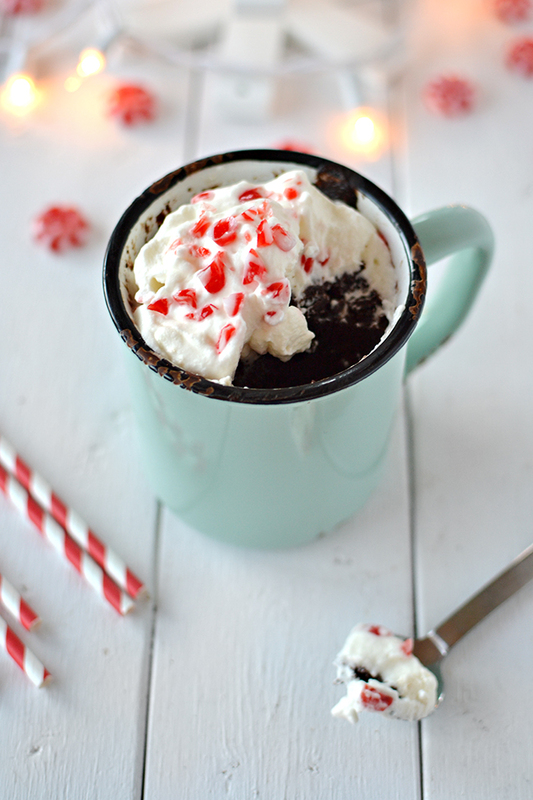 There's nothing better on a cold winter day than a mug of hot chocolate - oh wait there is and it's hot chocolate mug CAKE! I can't believe I only just discovered this miraculous dessert because this would have made many late university nights a whole lot better. 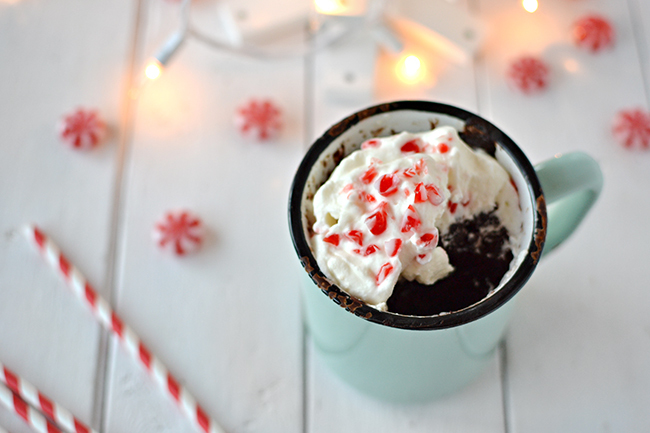 This cake, topped with minty whipped cream and crushed peppermints, tastes like Christmas in a cup and goes perfectly well with an evening of holiday movies. 1. In a small bowl, whisk the egg. 2. Pour the oil in the mug and swirl it up the sides to coat. 3. Combine all the rest of the ingredients, including the egg, in the mug. Whisk until it's well combined. 4. Place in the microwave on high for 90 seconds. 6. Beat the whipping cream until soft peaks form. 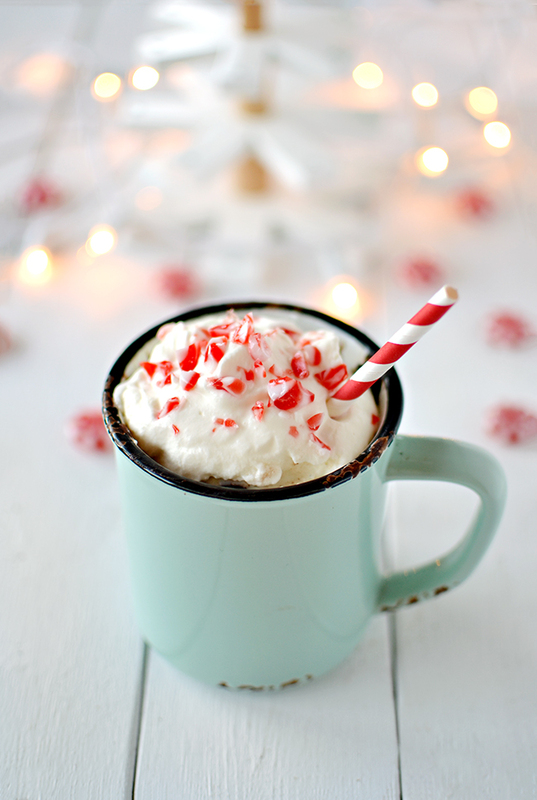 Add the sugar and peppermint extract and beat until combined. 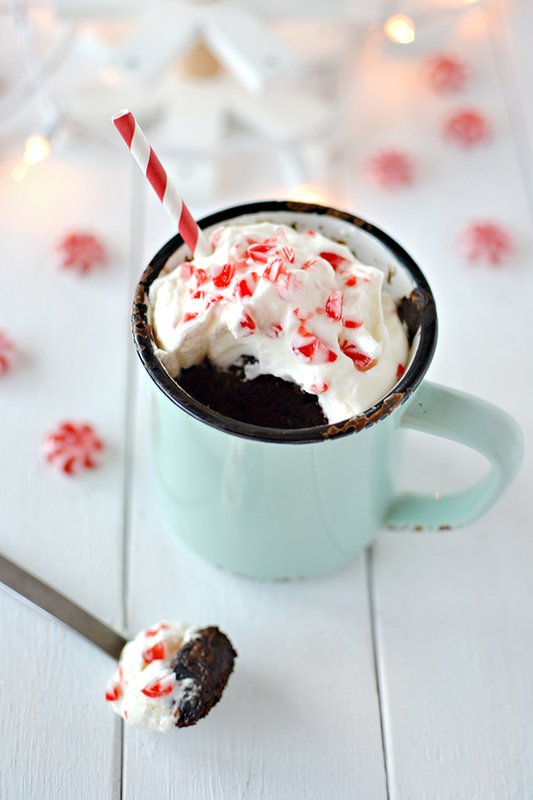 You will have lots of whip cream, enough to make mug cakes for you and a group of friends! 7. 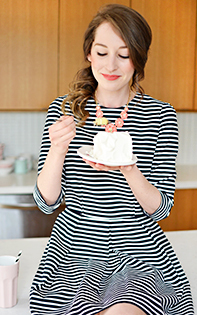 Dollop the whipped cream onto the cooled cake and sprinkle with crushed candies.